This example shows how to generate a data ensemble for predictive-maintenance algorithm design by simulating a Simulink® model of a machine while varying a fault parameter. The example then illustrates some of the ways you interact with a simulation ensemble datastore. The example shows how to read data from the datastore into the MATLAB® workspace, process the data to compute derived variables, and write the new variables back to the datastore. The model in this example is a simplified version of the gear-box model described in Using Simulink to Generate Fault Data. Load the Simulink model. For this example, only one fault mode is modeled. The gear-tooth fault is modeled as a disturbance in the Gear Tooth fault subsystem. The magnitude of the disturbance is controlled by the model variable ToothFaultGain, where ToothFaultGain = 0 corresponds to no gear tooth fault (healthy operation). To generate a simulation ensemble datastore of fault data, you use generateSimulationEnsemble to simulate the model at different values of ToothFaultGain, ranging from -2 to zero. This function simulates the model once for each entry in an array of Simulink.SimulationInput objects that you provide. 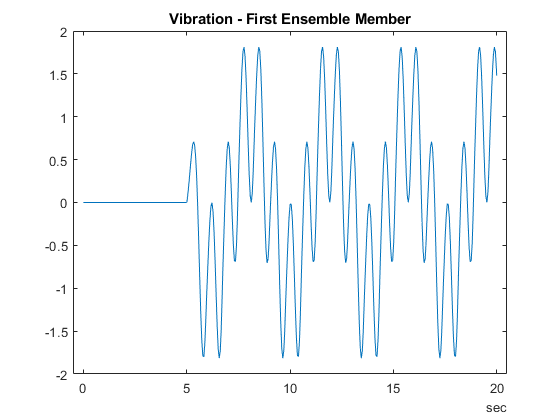 Each simulation generates a separate member of the ensemble. Create such an array, and use setVariable to assign a tooth-fault gain value for each run. Specify a location for the generated data. For this example, save the data to a folder called Data within your current folder. If all the simulations complete without error, the function returns true in the indicator output, status. SimulationInput — The Simulink.SimulationInput object that was used to configure the model for generating the data in the file. You can use this to extract information about the conditions (such as faulty or healthy) under which this simulation was run. logsout — A Dataset object containing all the data that the Simulink model is configured to log. PMSignalLogName — The name of the variable that contains the logged data ('logsout' in this example). The simulationEnsembleDatastore command uses this name to parse the data in the file. SimulationMetadata — Other information about the simulation that generated the data logged in the file. Now you can create the simulation ensemble datastore using the generated data. The resulting simulationEnsembleDatastore object points to the generated data. The object lists the data variables in the ensemble, and by default all the variables are selected for reading. Suppose that for the analysis you want to do, you need only the Vibration data and the Simulink.SimulationInput object that describes the conditions under which each member was simulated. Set ensemble.SelectedVariables to specify the variables you want to read. The read command then extracts those variables from the first ensemble member, as determined by the software. data.Vibration is a cell array containing one timetable row storing the simulation times and the corresponding vibration signal. You can now process this data as needed. For instance, extract the vibration data from the table and plot it. The LastMemberRead property of the ensemble contains the file name of the most recently read member. The next time you call read on this ensemble, the software advances to the next member of the ensemble. 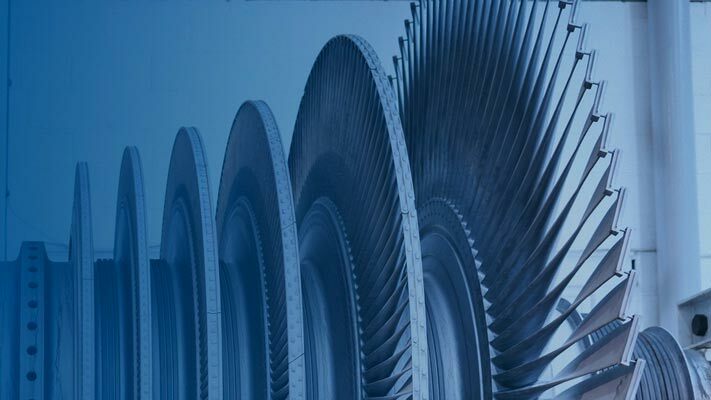 (See Data Ensembles for Condition Monitoring and Predictive Maintenance for more information.) Read the selected variables from the next member of the ensemble. To confirm that data1 and data2 contain data from different ensemble members, examine the values of the varied model parameter, ToothFaultGain. For each ensemble, this value is stored in the Variables field of the SimulationInput variable. This result confirms that data1 is from the ensemble with ToothFaultGain = –2, and data2 is from the ensemble with ToothFaultGain = –1.5. Suppose that you want to convert the ToothFaultGain values for each ensemble member into a binary indicator of whether or not a tooth fault is present. Suppose further that you know from your experience with the system that tooth-fault gain values less than 0.1 in magnitude are small enough to be considered healthy operation. Convert the gain value for the ensemble member you just read into an indicator that is 0 (no fault) for –0.1 < gain < 0.1, and 1 (fault) otherwise. To append the new tooth-fault indicator to the corresponding ensemble data, first expand the list of data variables in the ensemble. Then, use writeToLastMemberRead to write a value for new variable to the last-read member of the ensemble. In practice, you want to append the tooth-fault indicator to every member in the ensemble. To do so, reset the ensemble to its unread state, so that the next read begins at the first ensemble member. Then, loop through all the ensemble members, computing ToothFault for each member and appending it. Finally, designate the new tooth-fault indicator as a condition variable in the ensemble. You can use this designation to track and refer to variables in the ensemble data that represent conditions under which the member data was generated. Now, each ensemble member contains the original unprocessed data and an additional variable indicating the fault condition under which the data was collected. In practice, you might compute and append other values derived from the raw vibration data, to identify potential condition indicators that you can use for fault detection and diagnosis. For a more detailed example that shows more ways to manipulate and analyze data stored in a simulationEnsembleDatastore object, see Using Simulink to Generate Fault Data. If it is efficient or useful for the processing you want to do, you can configure the ensemble to read data from multiple members at once. To do so, use the ReadSize property. The read command uses this property to determine how many ensemble members to read at one time. For example, configure the ensemble to read two members at a time. Changing the value of ReadSize also resets the ensemble to its unread state. Thus, the next read operation reads the first two ensemble members. read returns a table with a number of rows equal to ReadSize. The LastMemberRead property of the ensemble contains the file names of all ensemble members that were read in this operation. When you append data to an ensemble datastore that has ReadSize > 1, you must write to the same number of ensemble members as you read. Thus, for instance, when ReadSize = 2, supply a two-row table to writeToLastMemberRead.